Our most popular quilt, made from hundreds of different prints for that "old-fashioned" look. We can add your choice of border fabric so it will go with any decor. 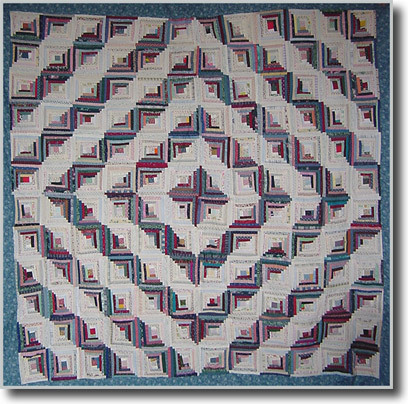 Click here to see other patterns using the basic Log Cabin block, which can be made to your specifications. Limited supply of blocks with the unique calicos of the 1980's and 1990's. 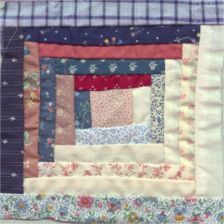 Quilting - an American tradition!